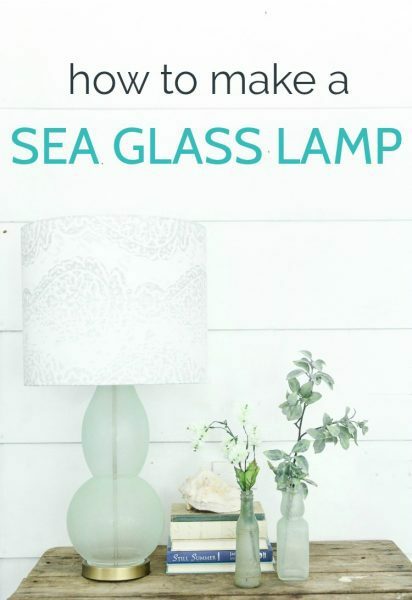 How to Make a Gorgeous Sea Glass Lamp - Lovely Etc. 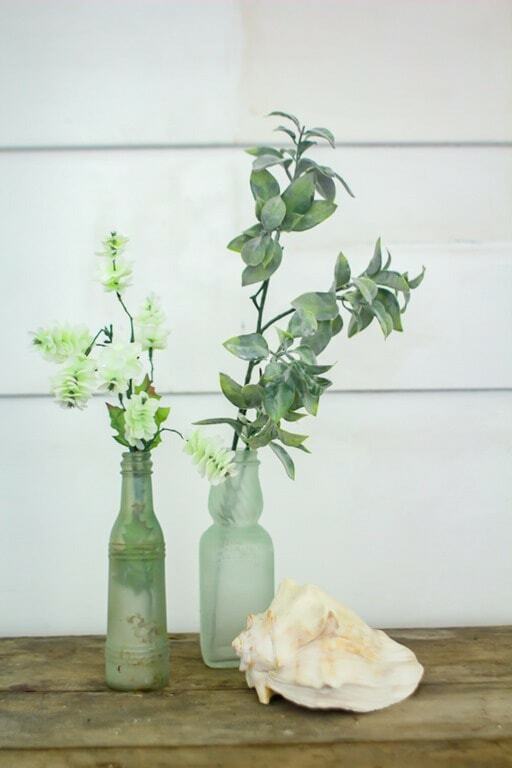 Make a beautiful sea glass lamp using any glass lamp and sea glass spray paint. This is an easy way to create beautiful coastal lamps and other decor on a small budget. This whole project started with a lamp I found on clearance at Lowes for a killer price. The display model was the last one left and it was marked down from $39 to $5.60! Seriously, what a steal! Of course I snapped it up right away. 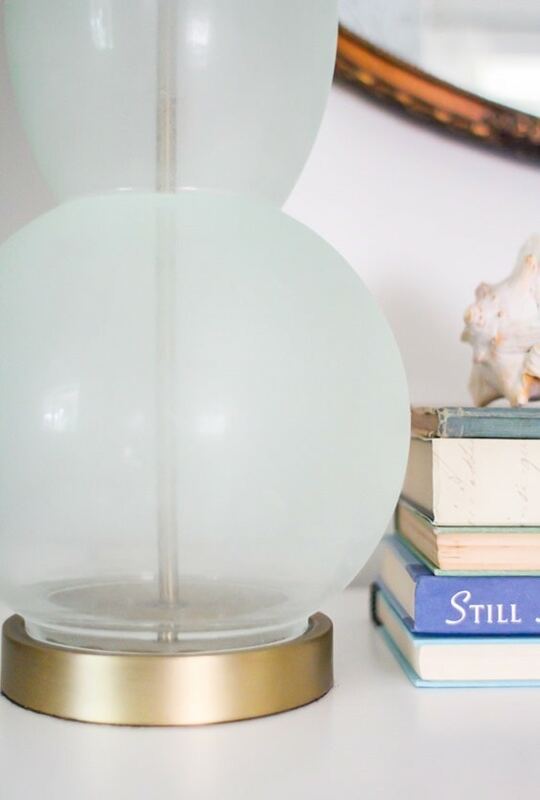 There are so many things you can do with these clear glass lamps and I knew exactly what I wanted to do with mine. 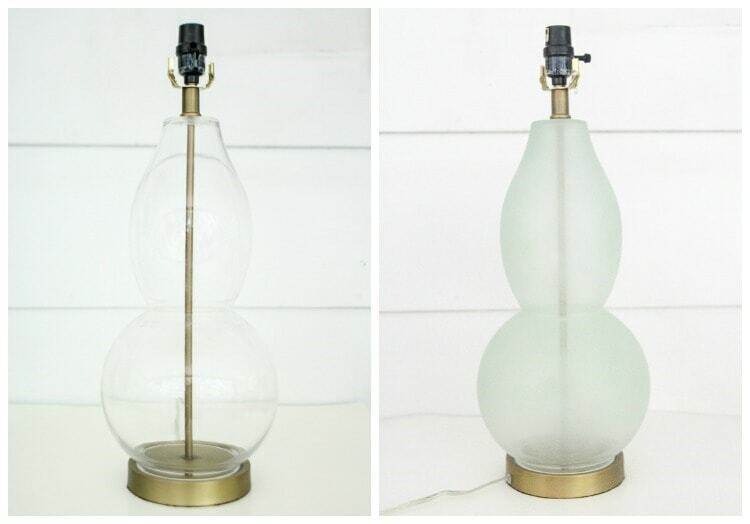 I had actually been looking at lamps just a few days before and saw a beautiful pair of aqua glass lamps at TJMaxx. They were $180 for the pair which is apparently the discounted price. Lamps are so expensive! 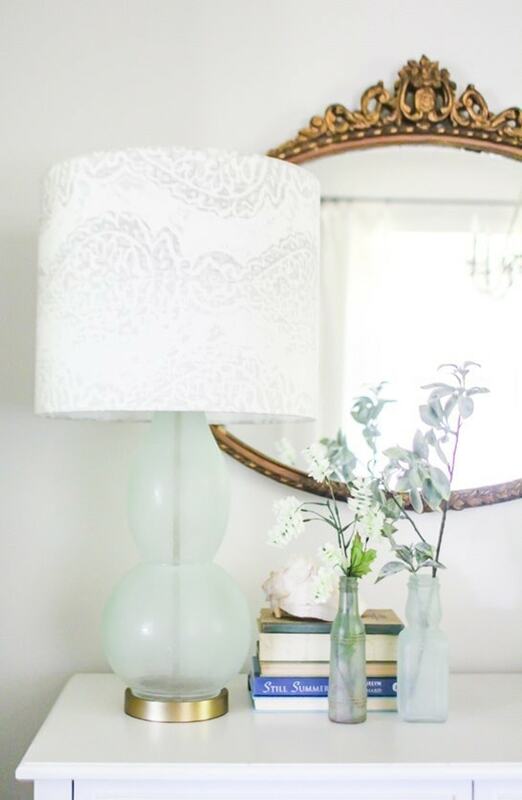 I absolutely loved the coastal vibe and beautiful aqua color and I was hoping to recreate the same look for my own lamp. I’ve been wanting to try out Krylon’s Sea Glass spray paint for awhile and this seemed like the perfect opportunity. 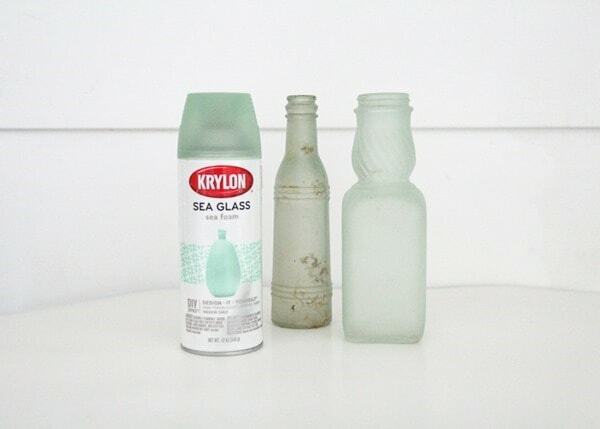 It’s a spray paint that is supposed to give any piece of clear glass the beautiful frosted look of sea glass. It comes in several colors, but the color I have been eyeing is Sea foam. It is a beautiful blue-green that instantly makes me think of the sea. 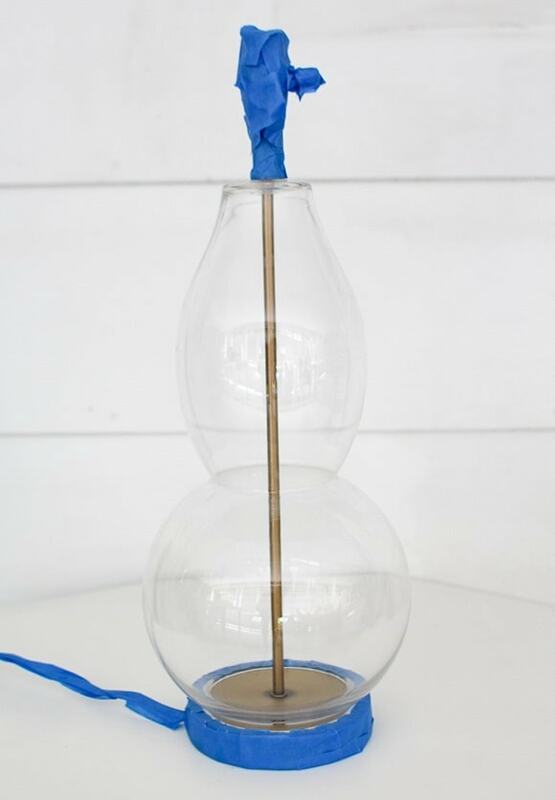 Perfect for creating a sea glass lamp. 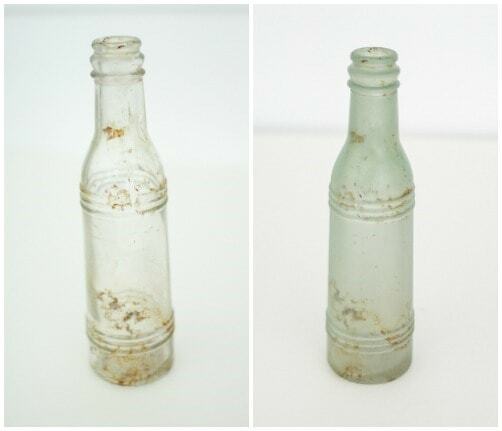 Before diving right into my lamp, I pulled out a couple of old glass bottles to practice on. I have a love/hate relationship with spray paint. It is a super fast way to paint and can give an immaculately smooth finish. But spray paint can also be very finicky. If you don’t apply it just right, you’re left with drips and streaks and uneven texture that isn’t easy to fix. I have found a lot of specialty spray paints are even more difficult to work with so I went into this project knowing I wanted to be extra careful to follow all of the absolute best practices for spray paint. I was painting outside (because fumes) so I made sure the temperature was within the suggested range on the can of paint. I shook it for a full minute before use. I held the paint 10-12 inches away from my project and sprayed with quick, even strokes to avoid drips. And I let the paint dry the recommended amount of time between coats. The first coat of paint was barely visible on the glass at all, but each subsequent coat slowly helped build the color. After around five light coats of paint, they were perfect. The color is very subtle and was slightly different on each of the bottles, since the glass was slightly different to begin with. But the finish was beautiful and definitely had that gorgeous weathered sea glass look. 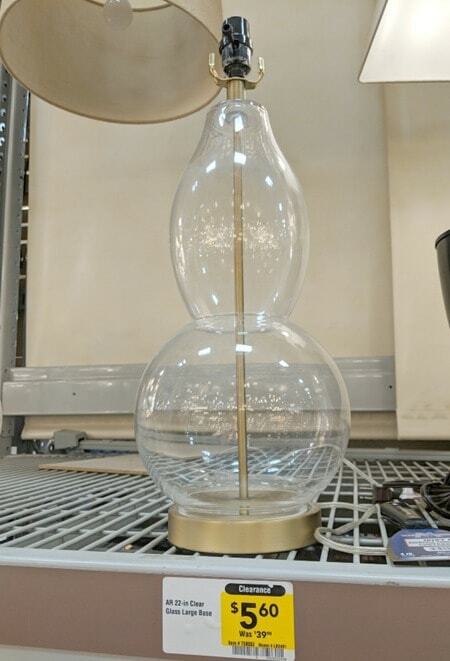 Ok, time to paint the lamp! The first step before painting anything is prep. I cleaned the dust from my lamp and used painter’s tape to cover everything I didn’t want painted. Then I started painting. Again, I was very careful to only do quick, light coats of paint and it took quite a few coats to get good coverage. Once the paint was completely dry, I removed the painter’s tape. So beautiful! The color is very subtle, but it is such a huge change from perfectly clear glass. It gives the lamp more presence and structure while still being light and airy. The perfect coastal lamp. As beautiful as my lamp turned out, there is one thing that I’m not thrilled about. The finish on my painted bottles is pretty smooth to the touch, but the finish on my lamp feels kind of powdery or dusty. The paint doesn’t come off when touched, but it feels like you might be able to scrape it off with a fingernail. (And no, I didn’t try!) I’m not sure why the two glass surfaces took the paint differently. Maybe it is because the lamp glass is very thin and smooth compared to the bottles. Maybe it is because the temperature outside was slightly higher than recommended when I painted the lamp. I’m not sure. Regardless, I love how the lamp turned out. I don’t expect it will be touched much, so I am not too worried about the texture issue. (I’m much more worried about finding a good spot where my boys won’t break it!) And I also love the painted bottles much more than I expected. I’m thinking a big grouping of different sizes of them would make a gorgeous centerpiece. 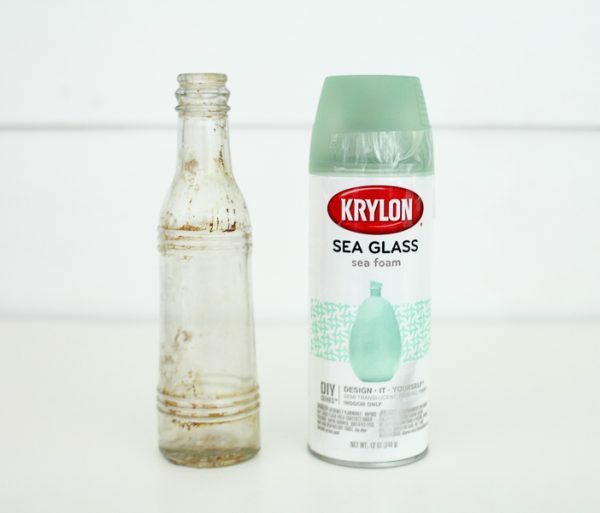 Have you tried Sea Glass spray paint? What was your experience like? I really love this! I also love your nightstand set up and gold mirror. You just gave me inspiration for my own room, I just need to grab a few things from around the house. Love that! I am so glad! Decorating with stuff gathered from other parts of the house is my favorite!